What are the performance issues that reviewers are talking about? So I recently got around to watching some reviews of the Nexus 9, and 2/3 of the reviews that I watched said that this device has performance issues in certain places. So I wanted to ask those of you that own a Nexus 9, where do you feel that the tablet is slow? Or are the reviewers cooking up a bunch of lies? I don't plan on purchasing a Nexus 9 but I was amazed by how powerful the Tegra K1 was shown to be last year, and if such a powerful chip lags on Android 5.0 I would be a tiny bit disappointed. However I guess some of the performance issues could be attributed to the fact that developers haven't optimised their apps for Nvidia Tegra K1 and Android 5.0 is in the early stages. You get the latest and greatest but you have to ride the update rollercoaster. Personally I enjoy that. 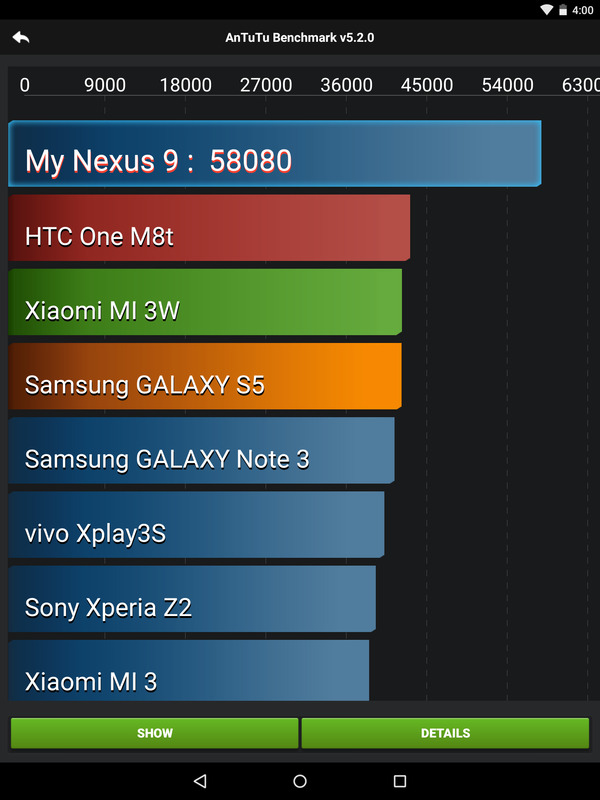 I would not worry about performance and not base buying a Nexus 9 on the small stutters people experience. Some experience them others do not. If you are worried wait 1 month or so and I think most performance issues will be ironed out or if there are any real problems they will be discovered. That said the Denver cpu use a different architecture that translates the ARM code to its own native code and hence relies on a rather large cache for efficiently running that translated code. This probably requires tuning on some software but it does looks like it overall has the capacity to be extremelly fast. To really judge the performance we have to wait until the software is mature and that will take at least a month or two. The Denver is keeping up with the A8X which has one more core and is also manufactured on a much more efficient 20nm process. This bodes well for the future and Eristra and is a testament that the architechture has true performance potential. Personally I am looking forward to see how the Intel Core M fares.That architecture is not as efficient as ARM but Intel has an immense lead in manufacturing process. Shilohcane, davloomis and salmanahmad like this. Right now there are almost no optimized programs, especially ones using 64 bit. It runs fast. I experience some lags, stalls, and crashes. I don't find anything objectionable given it is early days with lollipop. Part of getting a Nexus is getting things first when bugs are still being discovered. It's simply the early days of Lollipop, expect most these issues fixed with future updates. These hardware problems though, I'm quite hesitant to pick it up right now. Rather wait than get into an endless rollercoaster of exchanging defective models, although by now it seems people are quite satisfied with their device's build quality. Hoping to hear a word from some trusty reviewers like MKBHD their opinions. No performance issues here with one exception, it's been fast and smooth! The exception is battery saver mode, I do get some hesitations and slight lag in that mode, but to be fair, the dialog mentions that performance may suffer once you turn battery saver on. FWIW, had to go to battery saver in the middle of a Golf Star round the other night and was able to finish my game with no real performance issues. Cheap Wireless Charger LGG3 That Works! !